Here we are quickly approaching Spring and putting the cold, snowy and icy days of Winter behind us. With Spring comes many things in education such as new bills from Kansas Legislature, school finance discussions, state testing, preparing for graduation, building class schedules for next year, filling vacancies, class trips, etc... In today’s world, unfortunately, we also have to stay on a heightened level of safety and security not only in our schools but also in our communities and homes. Around the country, there are political and personal debates on what schools should do or be allowed to do to help prevent or stop a tragic event such as what happened recently in Florida, as well as other places like Virginia Tech, Columbine and Sandy Hook. There are things that each one of us can do to assist in the prevention and/or deter future tragedies. One of the best things that we, as adults, can do is to build meaningful relationships with students. Students who feel they are valued and have an adult that they can communicate with are more likely to make better choices and to express their feelings openly. It should be stressed to children and young adults the importance of sharing with an adult anything that is concerning or could be an unsafe situation. Another important thing that we can do is to make sure that social media accounts are being closely monitored for anything that might be a concern. The value and benefits of building relationships with students are important in so many ways, this includes the safety and security of our school, communities, and home. Students and adults can all work together, ”If We See or Hear Something--REPORT IT!” Concerning information can be reported to local law enforcement, school administration or call the Kansas School Safety Hotline at 877-626-8203. USD 330 Mission Valley built in 3 Snow Days at the end of the school year. So far this year we have missed 5 days of school because of inclement weather. 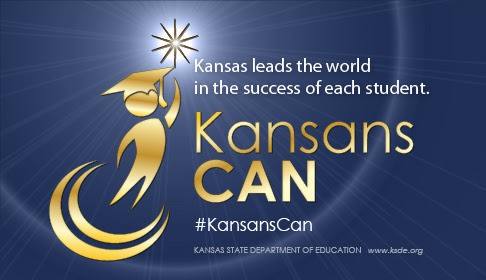 To meet the requirements of the Kansas State Department of Education USD 330 Mission Valley will be in session on May 14th, May 15th, and May 16th. As of today, those are the only days that we will need to make-up. We have one more “forgiveness” day that we can use but in the event that we reach the 7th day, then we will need to make up any days past six. 1) Please remember to download our new MV App for your smartphone or other electronic devices. 2) Please remember to contact the administrative office if your contact address, phone number, or email address has changed. 3) If you would like the monthly District Newsletter emailed or sent directly to you please contact the USD 330 District Office.